The Executive Cabinet follows along as Chief Justice Travis Roy presents his proposed amendments to the SGA constitution. “We would not be interested in having Chick-fil-A on campus,” said Meeks. 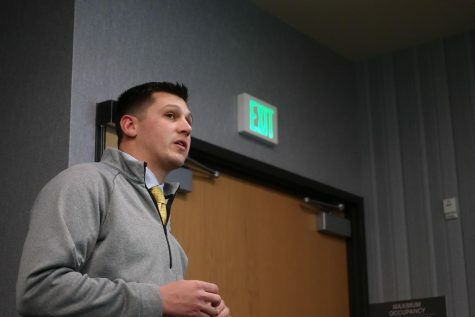 According to Meeks, a selection committee unanimously voted against Chick-fil-A as a restaurant to propose in the negotiation with Chartwells—the next option in line being Panda Express. Committee Chairman of Academic Affairs Jarett Lopez presented his second reading of his resolution emphasizing the need for more funds for Steely Library databases. Committee Chairman of Academic Affairs Jarrett Lopez presents his second reading of his resolution. 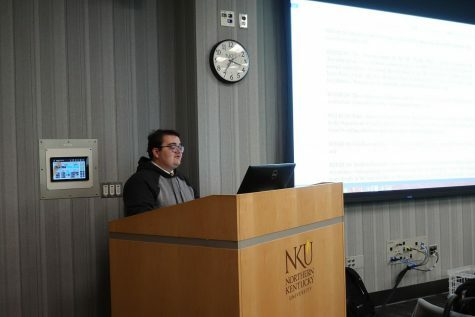 The resolution promises to ensure that students have access to tools necessary to excel academically, and to conduct research, by allocating money to meet the continuing cost of items required by the library. 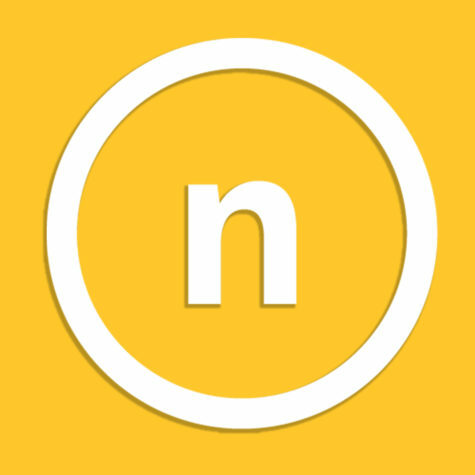 After going through corrections and amendments, the resolution was called to a vote where it passed unanimously. Chief Justice Travis Roy followed Lopez’s resolution reading with a run through of his proposed amendments to the SGA constitution. Chief Justice Travis Roy engages with fellow senators and justices as he reads through his proposed amendments to the SGA constitution. 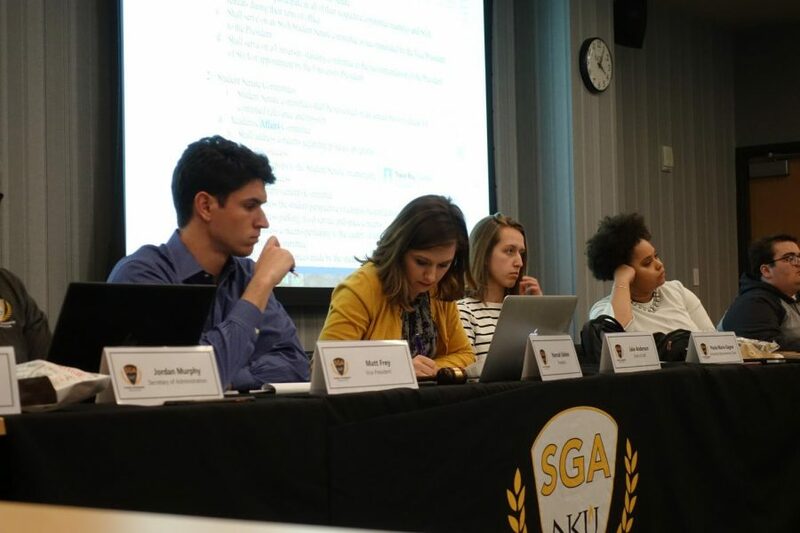 The highlighted amendment focused on GPA requirements for SGA senators and justices to be increased from 2.0 to 2.25 and the requirement for the Executive Cabinet to be a 2.5. “If we made [the GPA requirement] any higher, many people here wouldn’t qualify,” said President Hannah Edelen. According to Roy, students need to be focused on academics rather than student organizations. Student Government Association meets at 3:30 p.m. Monday in SU 104.